Recent research shows that experiencing shortened intervals between periods is one of the most common symptoms of irregular periods in early menopause. Irregular periods are often one of the first signs that a woman is going through menopause. Irregular periods signal that estrogen and progesterone levels are beginning to decline as the ovaries prepare to stop producing these hormones completely. Though the exact symptoms of irregular periods vary depending on each woman's cycle, most women will experience irregular periods for three to ten years before periods stop completely. In fact, only 10% of women reach menopause without any irregular periods. Read on to learn more about irregular periods and their symptoms, how fertility may be affected, and what the special cases are. In order to define irregular periods, it is helpful to first understand what is considered normal. While every woman is different, normal periods are typically described as having occurring every 25 - 31 days, with bleeding lasting approximately five days. The average amount of blood loss during a normal period is two to eight tablespoons. While this is a general definition of normal periods, some women may experience menstruation differently. What is irregular for one woman may be normal for another. Irregular periods, then, are any alterations in a woman's typical menstrual cycle that persist for several months. They are generally characterized by abnormal bleeding and unusual cycle lengths. Continue reading to learn more about the specific symptoms of irregular periods. There are several different menstrual disorders. A hormonal imbalance between the levels of estrogen and progesterone in a woman's body is one of the most common causes of irregular periods. A woman may experience any one of these menstrual irregularities due to the hormonal changes that take place during perimenopause. See a doctor if bleeding lasts more than seven days, or if cycles are shorter or longer than 21 - 35 days. Too-frequent periods (polymenorrhea). Menstruation occurs more frequently than normal. 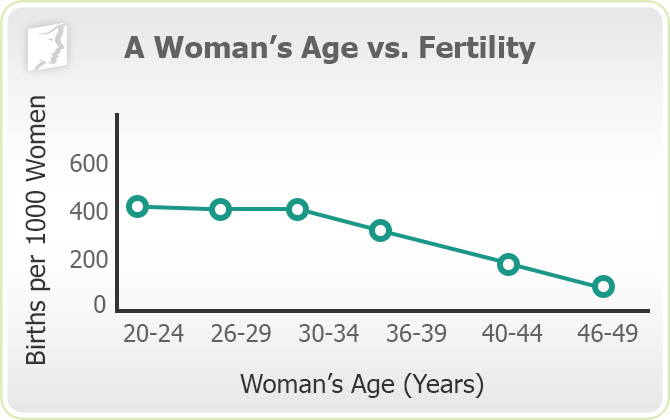 For women with polymenorrhea, the cycle length is 21 days or fewer. Women may experience this as a result of perimenopause, endometriosis, and sexually-transmitted diseases. Infrequent periods (oligomenorrhea). Menstruation occurs less frequently, usually with intervals of 35 days or more. This type of irregular period can be caused by perimenopause, pregnancy, hormonal contraception, and polycystic ovary syndrome (PCOS). This can also turn into amenorrhea. Read more about infrequent periods. Missed periods (amenorrhea). This refers to the absence of menstruation. Primary amenorrhea occurs when a young girl does not have her menstrual cycle before the age of 15. Secondary amenorrhea is when women have not had their period for three months or more. The most common causes of this are pregnancy and menopause. Amenorrhea can also lead to anemia. Read more about late and missed periods. Heavy periods (menorrhagia). This is the term for excessive loss of blood as a result of abnormally heavy or prolonged bleeding during the menstrual period. This can be caused by hormonal imbalance, as well as uterine fibroids, polyps, a dislodged intrauterine device (IUD), a miscarriage, and other medical conditions. Read more about heavy periods. 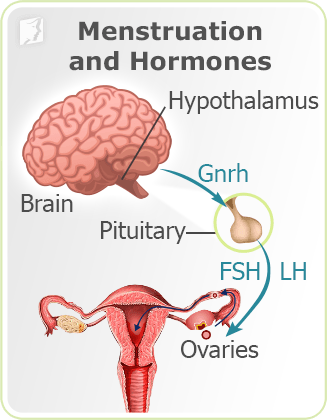 Short, light periods (hypomenorrhea). This is a decrease in menstrual flow. In contrast to menorrhagia, less blood is lost and the flow is shorter. Hyperthyroidism (an overactive thyroid), certain kidney diseases, and oral contraceptive pills are the most common causes of hypomenorrhea. Women who are perimenopausal may experience a decreased flow. Read more about short periods. Painful cramping (dysmenorrhea). This refers to increased and severe pain before and during menstruation. A woman may experience extremely painful cramps in the lower abdomen, back, and thighs. The pain can be constant or intermittent and so severe that it may interfere with daily activities. Read more about painful periods. Women who have questions about the symptoms of irregular periods during menopause should not hesitate to speak with their physician. Read on to learn more about how fertility is affected during irregular periods. Many women wonder about their fertility when they begin to experience irregular periods. It is important to remember that pregnancy can occur any time before menopause, even if a woman's period is irregular. It is not uncommon during perimenopause to go months without a period, only to have it return. During this time, it is still possible to become pregnant. Anovulation is when a woman's ovaries do not release an egg during a menstrual cycle, which occurs often with irregular periods during menopause. It is common for perimenopausal woman to bleed but not ovulate. It is recommended that women wishing to avoid pregnancy use a reliable form of birth control during perimenopause until it is certain that menopause has occurred. Read on to learn about special cases of irregular periods during menopause. A doctor can perform a blood test to determine if a woman's hormones are officially at menopausal levels. In some cases, it can be difficult to determine whether hormones have reached a menopausal level. For example, taking cyclical hormone therapy, having a hysterectomy, and postmenopausal bleeding are all special cases of irregular periods that merit some additional explanation. Use of cyclical hormones. If a woman is on a form of birth control or hormone replacement therapy (HRT) during which estrogen is taken on most days and progestin during the last days of her menstrual cycle, she may still have a period, since the latter hormone causes the uterine lining to shed, but she may no longer be fertile. Incomplete hysterectomy. If a woman has had her uterus removed, but not her ovaries, she is considered "surgically menopausal," but she may not be hormonally menopausal (since the ovaries are responsible for producing reproductive hormones). Postmenopausal bleeding. Any bleeding after menopause in women who are not taking HRT should be discussed with a qualified healthcare provider, as this can indicate a more serious health condition. Read on to learn more about the causes of irregular periods during menopause. The menstrual cycle is closely linked with a number of physical and emotional states in the body. For women over the age of 40, the symptom is usually suggestive of menopause, but for younger women, it can be difficult to identify the cause of irregular periods. Irregular periods are closely linked with a variety of physical and emotional conditions in the body, which makes it difficult to identify the cause of irregular periods. However, there are a number of ways to identify when menstrual irregularities occur as an indicator of menopause.